Is there a worse feeling than waking up Saturday morning and remembering you've missed the deadline for Fantasy Football? A pain we all know too well which gives credibility to the adage 'failing to prepare is preparing to fail'. As in business, over the course of a given campaign the ball can be dropped on the odd occasion, but for anyone who's won a league over the years there is a realization that winners are the ones who learn from such mistakes and recover best. It can be difficult to convey the importance of such leagues to non-users, but once you're involved it's like anything else; it may be trivial but you want to be best at it. This tied with the country wide (under the table) bets riding on it make for a bit of added spice. So decisions decisions on a Friday night. Who to pick? Who is everyone else going with? Don't even get me started on the dreaded dilemma of electing a captain... In many ways sport is one of the only things in life as unpredictable as business; especially the league of choice for the Fantasy Football site, the English Premiership. In both Fantasy Football and business, you make your best judgements based on historical form, experience, state of the opposition, educated prediction and of course there's always an element of risk. Captains change throughout the course of a season. 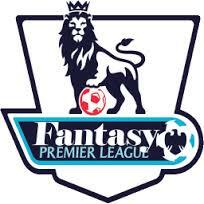 They are the players that you predict will do best that game week hence earning double points. Strongest performers will always jump straight out at you and there's a tendency, much to everyone's frustration, for the same star names to appear in everyone's team. Seasons are not won over one or two game weeks however, and anyone who's been through more than one Fantasy Football season knows that it's the consistent players that put points on the board. Just as in business it's essential to have a consistent team under you at all times which will allow you to take risks each week without sacrificing your standards. If you've issued your captaincy correctly, they'll give you the icing on the cake but only a fool would believe that they could go through a whole season guessing right each time. This is the importance of the team mentality. Although each week there may be a star player, the success of the team is based on everyone contributing to the best of their ability and over the course of the season it may be the consistent, less glamorous, less dramatic players that are the difference between winning and losing. If you are to succeed in football or business, it is essential to recognise that. That said, we as leaders seek out other leaders. The players we believe will be talisman. Since we all have a similar goal (maximum points) and tools (players), the reality is that the team leader with the best squad will ultimately succeed. A trait that is evidently transferrable to a business environment. Let’s focus on the business side of things for a moment. Perhaps you are not in a position to choose your team. Perhaps you are one of the players who is either surrounded by the high-fliers or in their shadow looking after the basics. We all have a choice to equip ourselves with the required tools to ensure that we deliver maximum points to our team. Self-development, improving autonomy, taking initiative etc. The list goes on. Perhaps the moral of the story in both a fantasy league and a business is that we are limited in what we can predict and our fortunes will fluctuate over the course of a campaign, but if you have the best, most consistent team possible under you, you have the greatest chance of being crowned the victor when all is said and done.